As a local Short Sale Specialist I have helped hundreds of families, we can help you determine if a short sale with Wells Fargo or any other bank is an option. We have closed many short sales, and we have answers to your questions if you're looking just to find out more about what a Short Sale in Fredericksburg means to you give us a call 540-834-6924. Click here to get FAQs about short sales. As always the best place to start is by giving us a call 540-834-6924 for a free consultation on all the current information regarding Short Sales and the new guidelines that are always changing concerning short sales. Most of our clients who are doing short sales are receiving relocation assistance from Wells Fargo at closing find out if you qualify for cash back after your short sale. Give me a call today 540-834-6924. The worst thing you can do is nothing. 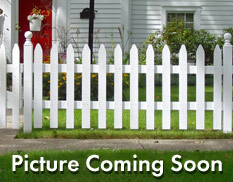 We specialize in Short Sales with Bank of America, Ocwen, Chase and the list goes on! What is the benefit for a Short sale for the homeowner in the Fredericksburg, VA area? 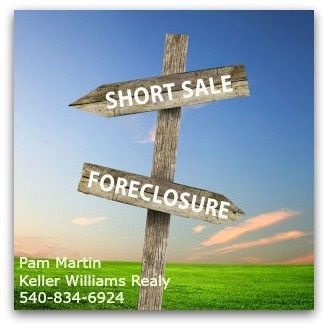 A short sale will help you avoid foreclosure and provides a planned exit strategy to make a fresh start... The path back to homeownership shorter from a short sale than from a full foreclosure. FHA new Back to Work Program may allow you to purchase a home again in 12 months in certain situations. You may also be eligible for a cash incentive upon completion of a short sale (depending on investor requirements). Call today and get the answers to your tough questions about Short Sales in Fredericksburg and Stafford Virginia. Pam Martin, A Stafford, VA Short Sale Specialist, with Keller Williams Realty in Fredericksburg, VA is known for her Stafford and Fredericksburg Real Estate experience in Short Sales, closes another Short Sale in Stafford, Virginia. Sep. 11, 2013 - FREDERICKSBURG, Va. -- Pam Martin, A Stafford, VA Short Sale Specialist, with Keller Williams Realty in Fredericksburg, VA is known for her Stafford and Fredericksburg, Real Estate experience in Short Sales has just closed another Short Sale in Stafford, VA. Using their no-nonsense Short Sale System, The Pam Martin Team can handle a large number of short sales in Stafford and surrounding areas in Virginia. The process is never easy, but with Pam Martin and her strong negotiating skills, and systems in place this Wells Fargo Short Sale was approved and closed within 69 days from list date. The Stafford home sold for $422,000, with a mortgage payoff of $627,000. This was a Wells Fargo Short Sale in Stafford, VA and was approved with no deficiency to the seller. Wells Fargo also included relocation assistance package to the seller at closing in the amount of $3200. The outcome could not have been better said Pam Martin, Realtor.